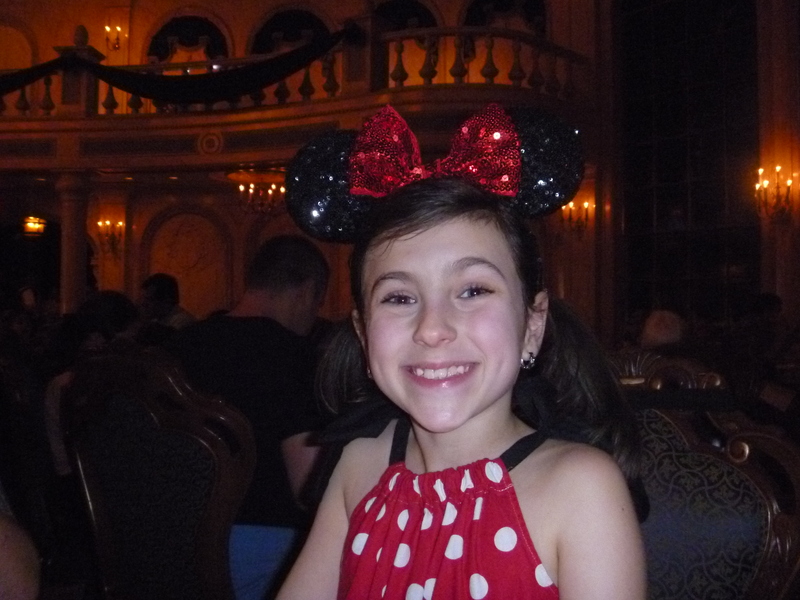 Our Disney Favorites at Magic Kingdom in 2014! 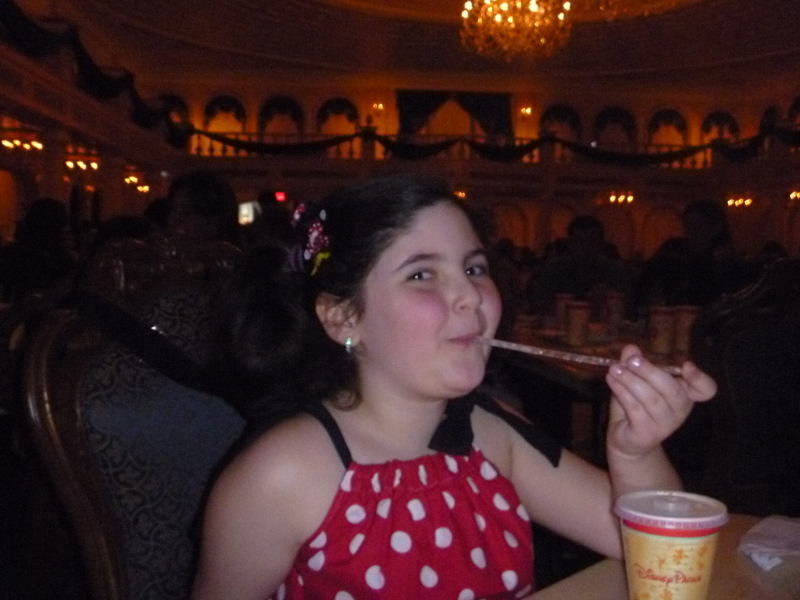 We spent three days in the Magic Kingdom during this trip, and after the third day, we made our choices! Ride: Since our favorite ride, Splash Mountain, was closed this trip, we (adults) chose The Haunted Mansion. 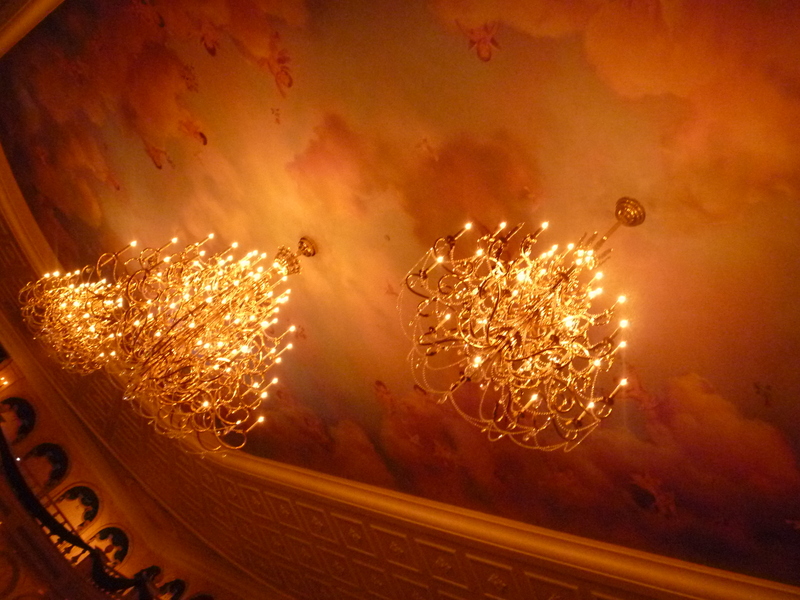 The ride is so much fun, and always has imaginative trompe l’oeil in every direction! And the striped costumes the maid staff wears is liTerally the best in Disney! I may need a maid’s costume fer HallOweenzzZ! Kids Rides Pick! : The kids couldn’t decide on just one. So they each chose individually and together…Big Thunder Mountain (our 8yr old), Dumbo (our 6yr old), and The People Mover (both!). We dined here for lunch, quick service with seating inside. Though the wait was only 30 minutes, it was in the hot sun so that sorta stunk…but it was all redeemed inside as it was a real pleasant surprise. The atmosphere was pretty. 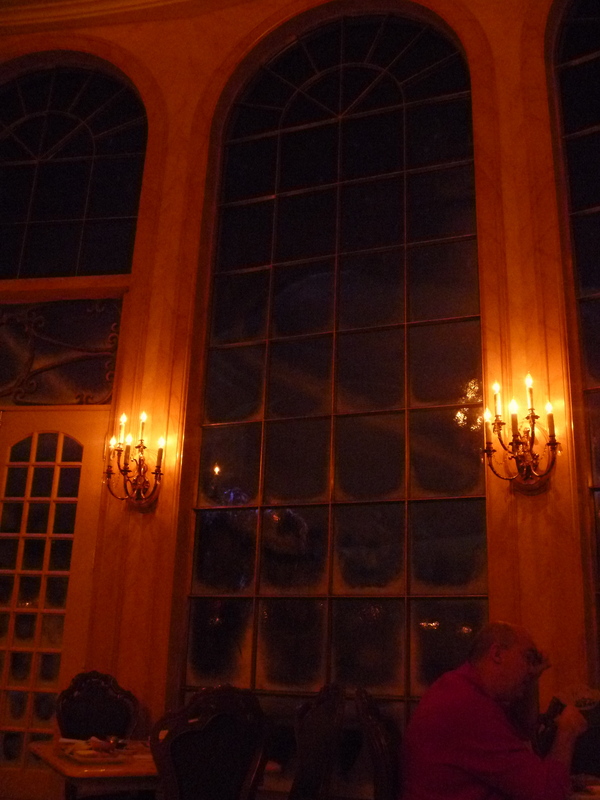 We ate in the main dining room, at the far end near the windows of the animated falling snow. 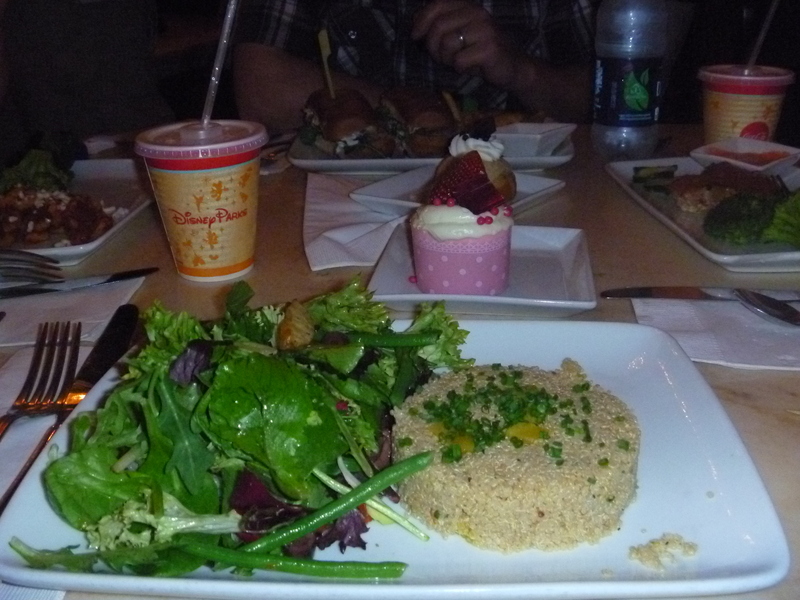 The staff was fun, and their method of serving the food through our magicband was genius…and the food we got ended up being pretty darn good. I am a sucker for quinoa! The two cupcakes, 1 strawberry cheesecake and 1 chocolate, we shared were pretty amazin’ too. The whole presentation of the place, food and service was a delight, and we were totally enchanted. I’m sorta nuts for quinoa..and this did not disappoint! I was full all day!! Also, the cupcakes were split by all and so goooOOood! Snack: TIE! Funnel cake at Sleepy Hollow Inn! Great crispy funnel cake, with a great view of the castle! 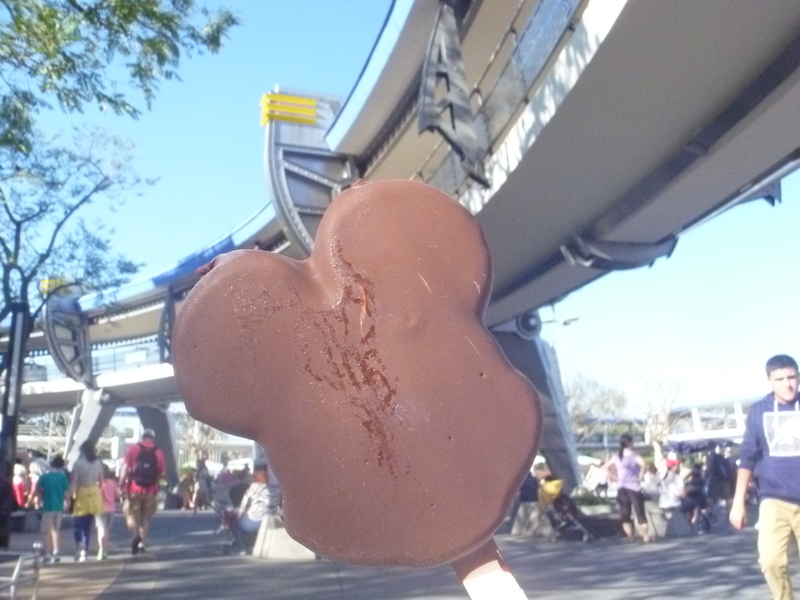 AND MICKEY BARS! Non Alcoholic Drink: Starbucks non-fat latte! Of course! Kids Rides Pick! : Nesquik Choc Milk! Alcoholic Drink For some reason, we didn’t drink any in the MK! Character Meet: Merida AND Tinkerbell! After a quick wait, we got to meet our oldest daughter’s fav character. She was funny, sweet and quick with her one liners. 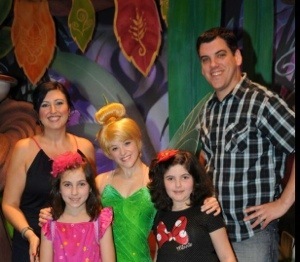 On our next visit, we got to meet with Tinkerbell and Rosetta, who is our youngest’s fav! So sweet. Place to Chill Out the brick wall across from the tea cups, in front of Pooh’s greet n meet. Oh, and the fireworks! 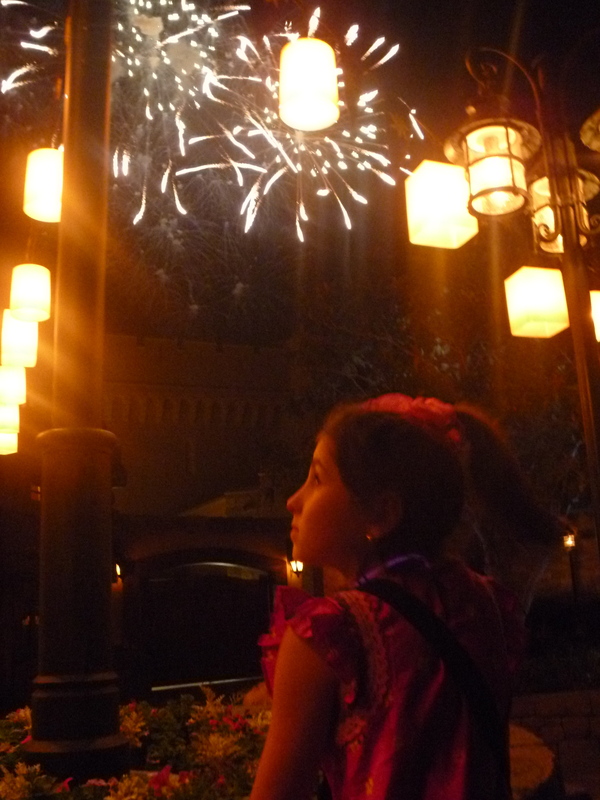 Watching Wishes from Rapunzel’s lanterns with her dad on our last day. Next Post Annnnnnd…. We Are Back!